While certain biotech subsectors have no problem raising cash, the industry writ large is having trouble addressing its lack of diversity in executive suites and boardrooms. Trade group BIO’s diversity committee chair spoke to Xconomy about upcoming plans to help members hire more women in top spots. The gene-editing technology CRISPR was in the news, too. Researchers published a technique to cure mice of liver disease in utero, while the biotech industry’s first test of a CRISPR-based medicine in humans could start by year’s end. Let’s cut to the chase. It’s roundup time. 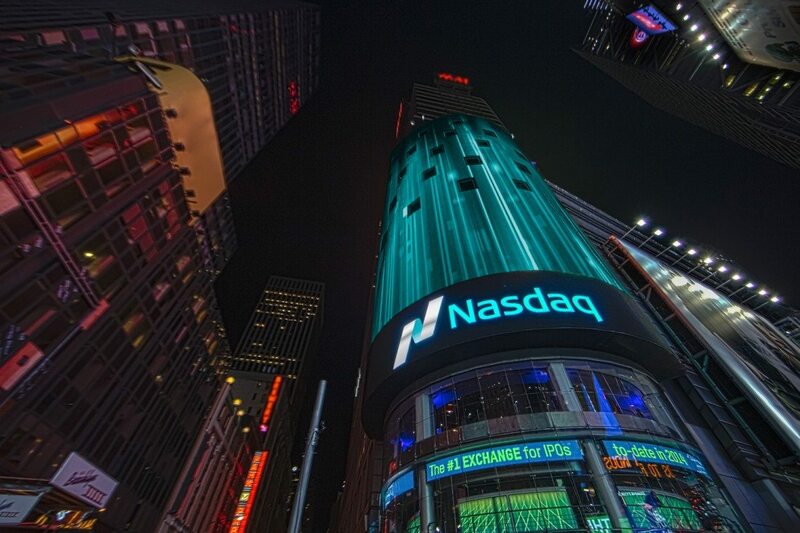 —Allogene Therapeutics (NASDAQ: ALLO) raised $288 million in its IPO, which it will use to test its “off-the-shelf” cancer cell therapies in multiple clinical trials. —The first U.S. clinical trial of a drug produced with CRISPR gene editing is expected to begin soon. The FDA lifted its clinical hold on an experimental sickle cell disease therapy developed by Vertex Pharmaceuticals (NASDAQ: VRTX) and CRISPR Therapeutics (NASDAQ: CRSP). —Using CRISPR, researchers in Philadelphia edited the genomes of mice still in the womb to cure them of a fatal liver disease. They used a relatively new version of CRISPR called base editing, which is starting to make its way into the biotech industry. —Xconomy interviewed Helen Torley, the chair of BIO’s Workforce Development, Diversity & Inclusion committee, about plans to close biotech’s executive and boardroom gender gap. In a letter last week, BIO reminded its members that by 2025 it wants to see gender parity among industry leadership and women occupying 30 percent of board seats. —USA Today published on Wednesday an op-ed from President Trump on Medicare, then one day later wrote that its own fact-checking partners had found Trump’s piece to be riddled with false claims and misleading statements. —Shares of Trevena (NASDAQ: TRVN) plummeted 64 percent after FDA scientists released a scathing review of its pain drug oliceridine that contradicted positive claims Trevena has made about reaching agreement with the agency. An advisory panel then recommended Thursday that the agency reject the drug as Nasdaq halted the company’s stock trading. —The FDA approved inotersen (Tegsedi), from Akcea Therapeutics (NASDAQ: AKCA), for people with the inherited form of transthyretin amyloidosis (hATTR). The decision sets up a commercial battle between Akcea and Alnylam Pharmaceuticals (NASDAQ: ALNY), whose hATTR drug patisiran (Onpattro) the FDA cleared in August. —The FDA approved the cervical cancer vaccine Gardasil for adults up to the age of 45. It was previously approved for preteens, teens, and young adults. —In a “Tweetorial,” FDA Commissioner Scott Gottlieb outlined the cybersecurity risks to medical devices and the steps his agency is taking to protect them. —Menlo Therapeutics (NASDAQ: MNLO) reported that its drug, serlopitant, failed a Phase 2 study for chronic cough, the pill’s second trial failure in six months. The news sank the Redwood City, CA, company’s shares 22 percent. —Celgene (NASDAQ: CELG) could expand the use of its anti-inflammatory drug apremilast (Otezla) now that a Phase 3 study in scalp psoriasis has succeeded. Apremilast, which generated $1.28 billion in 2017, is approved for psoriatic arthritis and plaque psoriasis. —At a medical meeting in Washington D.C., Blueprint Medicines (NASDAQ: BPMC) and Loxo Oncology (NASDAQ: [[ticker: LOXO) presented data for rival drugs that target alterations to the RET gene. So far, Loxo’s LOXO-292 has “slightly better efficacy and a cleaner profile” than Blueprint’s BLU-667, wrote Leerink Partners analyst Andrew Berens. —Bristol-Myers Squibb (NYSE: BMY) failed in an attempt to show its immunotherapy nivolumab (Opdivo) could beat chemotherapy in small cell lung cancer patients who haven’t responded to initial treatment. Nivolumab is already approved for SCLC patients who have failed two other treatments. —Affimed (NASDAQ: AFMD) stopped Phase 1 studies of its cancer drug AFM11 in non-Hodgkin lymphoma after one patient died and two experienced “life-threatening events.” Shares of the German biotech plunged 28 percent. —Immune Design (NASDAQ: IMDZ) will stop a Phase 3 study testing its experimental cancer vaccine CMB305 based on new, dissappointing data that emerged from a separate trial testing the drug alongside the Roche immunotherapy atezolizumab (Tecentriq). The company will now put its resources behind a lymphoma drug, G100. Shares fell nearly 50 percent. —Biogen (NASDAQ: BIIB) presented data showing the impact of nusinersen (Spinraza) on infants with spinal muscular atrophy who haven’t displayed symptoms yet. Nusinersen is the only SMA drug on the market, but Biogen (NASDAQ: BIIB) aims to keep competitive threats from Novartis and Roche at bay. —New York City-based Gotham Therapeutics raised $54 million to develop drugs meant to modify messenger RNA molecules. Versant Ventures co-led the Series A, the third Manhattan biotech it has launched since setting up an outpost in New York in 2015. —Glympse Bio raised $22 million in Series A funding to test its nanotech disease-detection sensors for the liver disease nonalcoholic steatohepatitis. —Sitryx launched with $30 million in financing and counted GlaxoSmithKline (NYSE: GSK) among its investors. The Oxford, UK-based company is developing drugs that target cellular metabolism to treat cancers and inflammatory disorders. —Novartis debuted its digital health incubator “Biome” in San Francisco. The San Francisco Business Times has more. —MeiraGTx (NASDAQ: MGTX) acquired an experimental gene therapy for Parkinson’s disease called AAV/GAD for an undisclosed sum. A previous owner, Neurologix, touted Phase 2 results for the program in 2011—this review called the data “modest at best”—then went bankrupt and discontinued development. —Continuing its push into gene therapy, Amicus Therapeutics (NASDAQ: FLD) will work with the University of Pennsylvania lab of gene therapy pioneer James Wilson to co-develop four therapies for Fabry disease, Pompe disease, CKL5 deficiency, and an unspecified metabolic disorder. Amicus also recently acquired 10 experimental gene therapies for lysosomal storage diseases.